A new species of land-locked freshwater shrimp, Neocaridina fonticulata sp. 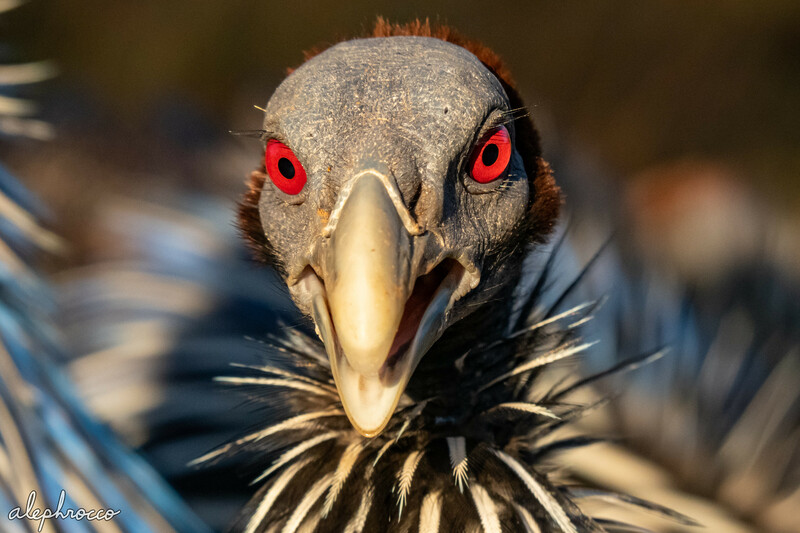 n. (Atyidae), is described from Kenting, Hengchun Peninsula, Pingtung County, southern Taiwan. This new species can be distinguished from its congeners by rostrum structure, pereiopods, and male first and second pleopods. 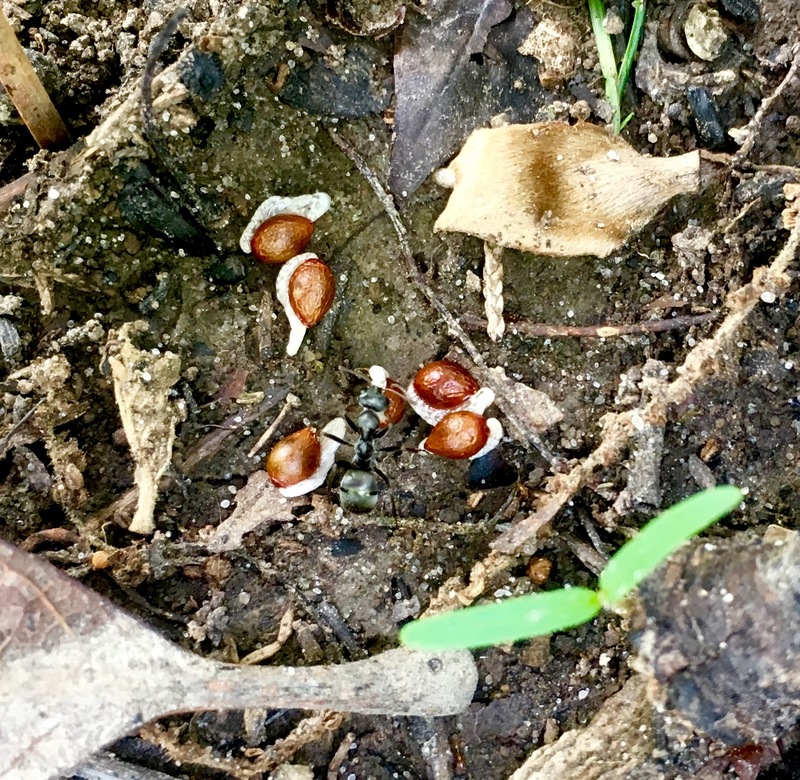 The molecular evidence of mitochondrial cytochrome oxidase subunit I (COI) also supports the establishment of a new species. 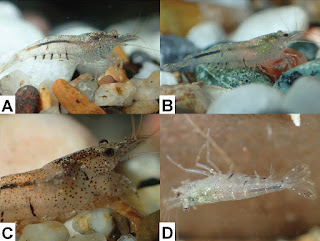 This is the third endemic species of Neocaridina known from Taiwan. Figure 4. Live colouration of Neocaridina fonticulata sp. n. (A–D) and its habitat in Kenting, southern Taiwan (E–F). 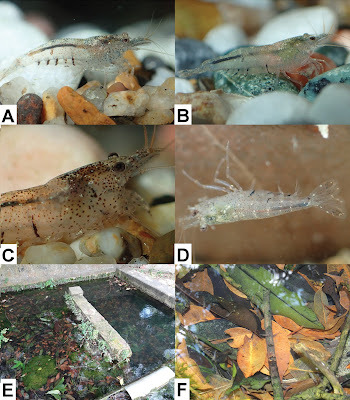 Specimens were collected from the type locality on 1 July 2015 and kept in aquarium for observation and photography. Live colouration of Neocaridina fonticulata sp. n. (A–D). Specimens were collected from the type locality on 1 July 2015 and kept in aquarium for observation and photography. 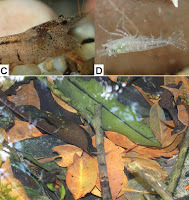 Neocaridina fonticulata sp. n., its habitat in Kenting, southern Taiwan (E–F). 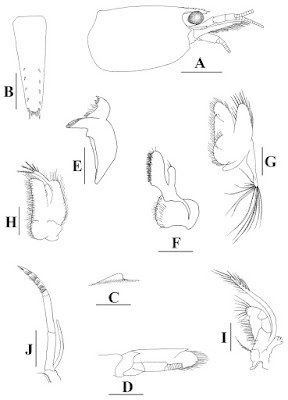 A carapace and cephalic appendages, lateral view B telson, dorsal view C preanal carina, lateral view D right scaphocerite and antenna, ventral view E right mandible F right maxillula G right maxilla H right 1st maxilliped I right 2nd maxilliped J right 3rd maxilliped. Scale bars: 1.5 mm (A); 0.5 mm (B, E–J); 1 mm (C, D) (male, cl 3.0 mm, paratype, ZRC 2018.1013). Diagnosis: Rostrum short, straight, slightly sloping downwards, reaching mostly to end of 1st segment of antennular peduncle, rostral formula 1–3+8–15/1–4. Pterygostomian margin armed with an indistinct spine. 1st pereiopod carpus 1.2–1.5 × as long as high; chela 2.0–2.1 × as long as broad; fingers slightly longer than palm. 2nd pereiopod carpus 1.1–1.2 × as long as chela, 3.9–4.3 × as long as high; chela 2.1–2.3 × as long as broad; fingers 1.3–1.4 × as long as palm. 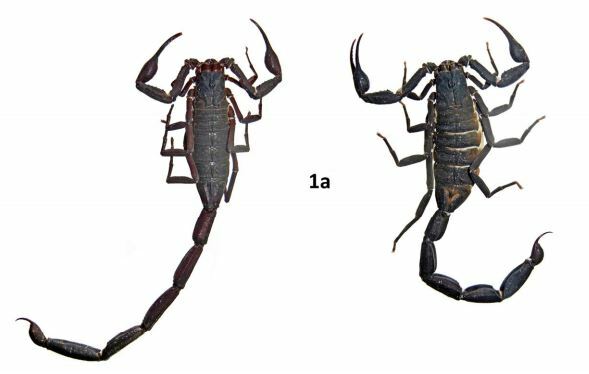 3rd pereiopod with propodus straight in females, slightly incurved in males, 2.7–3.0 × as long as dactylus; dactylus terminating in two claws, 4–6 accessory spines on flexor margin, strongly incurved in males. 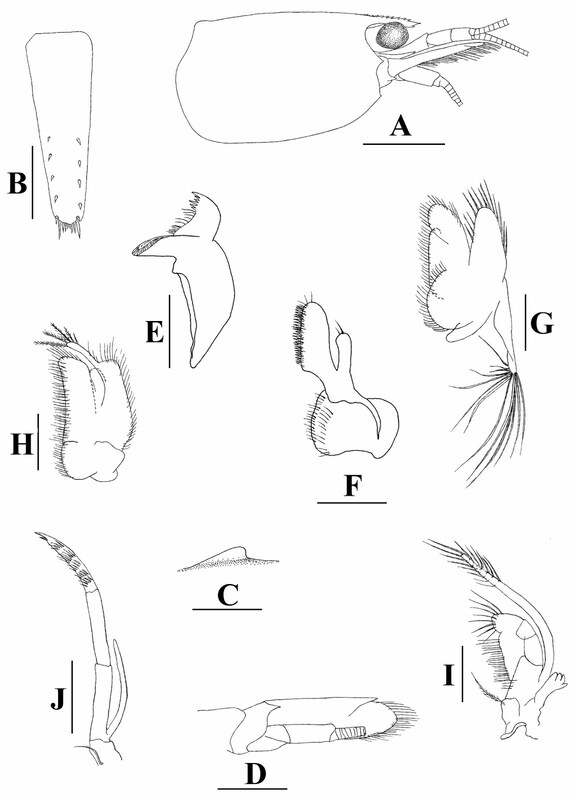 5th pereiopod propodus 2.7–2.8 × as long as dactylus, dactylus terminating in one claw, with 46–54 spinules on flexor margin. Endopod of male 1st pleopod extending to 0.8 × exopod length, inflated at distal ¾, pyriform, 1.7 × as long as wide, appendix interna at base of inflated part, short. Appendix masculina of male 2nd pleopod cylindrical, reaching to 0.7 length of endopod, appendix interna reaching to 0.6 length of appendix masculina. Uropodal diaeresis with 13–14 movable spinules. Eggs 1.10 × 0.68 to 1.20 × 0.75 mm in diameter. Etymology: Neocaridina fonticulata is named after its known habitat, from the Latin root, fonticulus, for little spring. 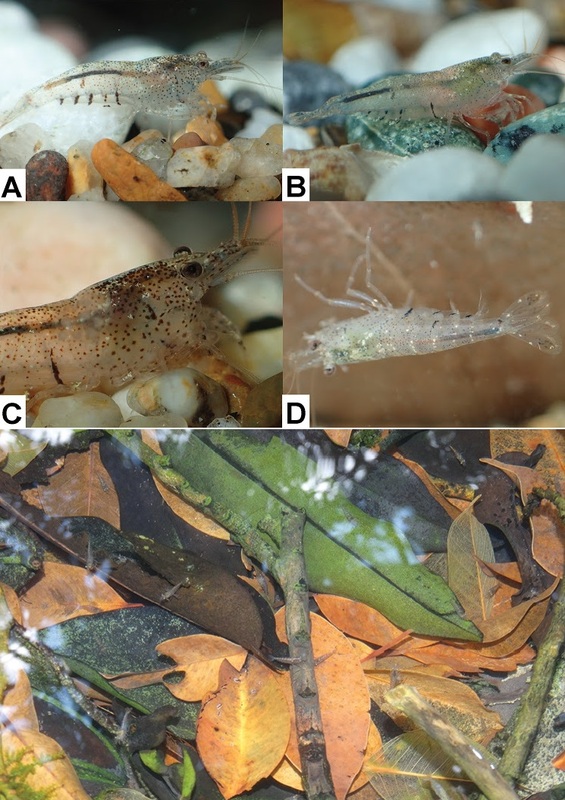 Ecological notes: Specimens of the new species were collected from leaf litter layer of a small stream (Figure 4E, F) next to a spring outlet at a limestone hill. 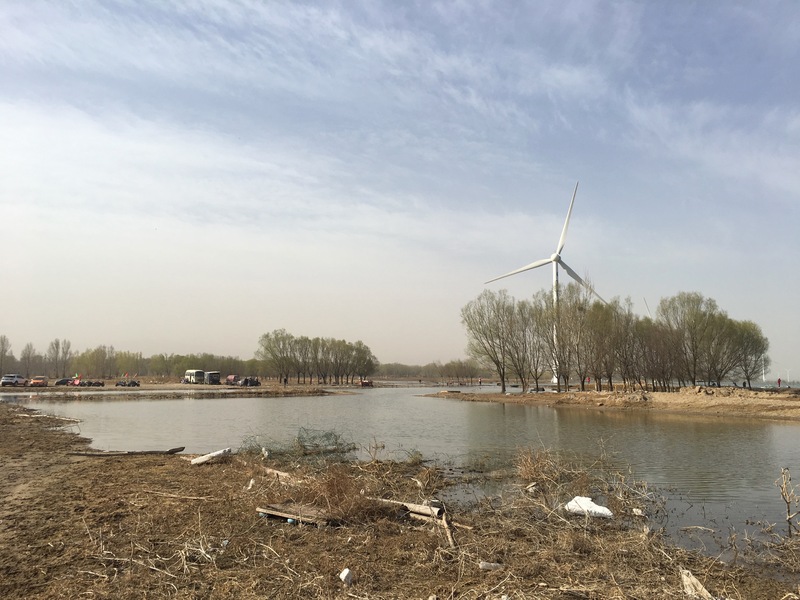 The collection site consists of concretized substrate and banks, representing the headwater of the stream. The water flow is slow, cool temperature (about 25 °C), neutral (pH 7.06–7.16), and with moderately high dissolved oxygen (7.33–7.70 mg/L). 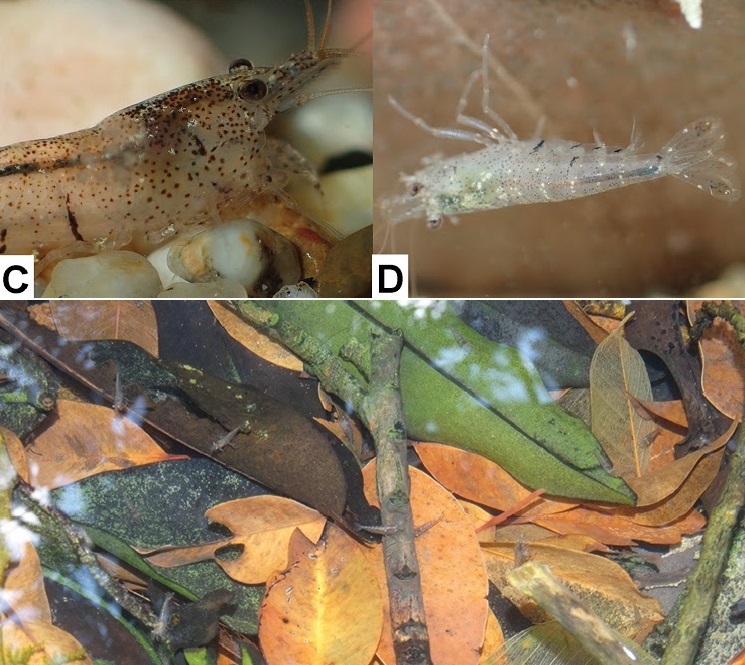 The freshwater crabs, Candidiopotamon rathbuni (De Man, 1914) and Geothelphusa ferruginea Shy, Ng & Yu, 1994, were found to be sympatric with this new species. 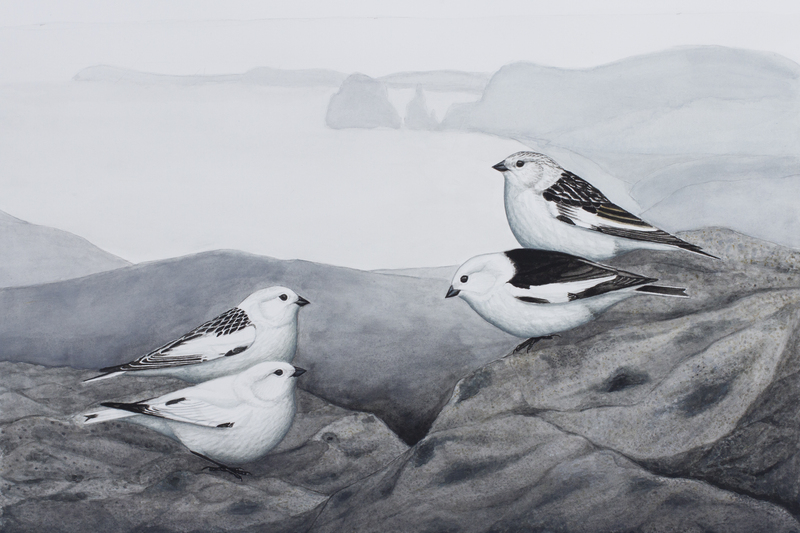 Ovigerous females were found in July. Distribution: Presently known only from Sheding, Kenting, southern Taiwan.